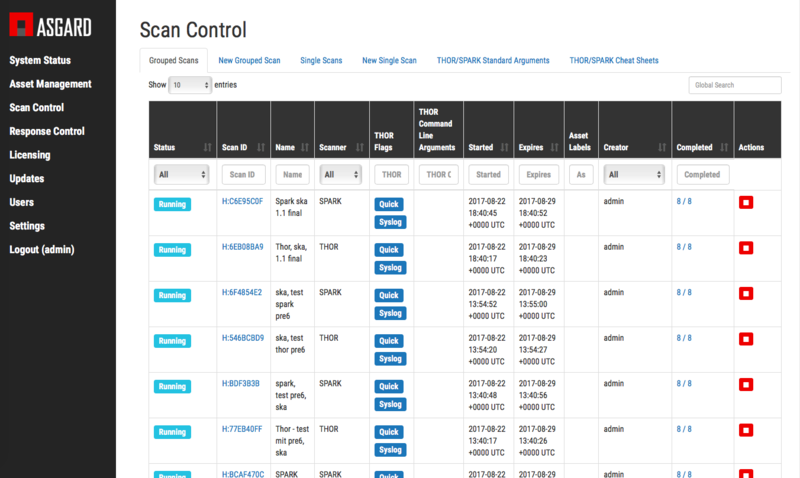 ASGARD Management Center is a full featured appliance that allows you to define, schedule and run scans with THOR or SPARK across your entire infrastructure. A single ASGARD Management Center is able to manage up to 10.000 agents. The ASGARD Umbrella Manager offers clustering. This supports an almost infinite number of systems to be controlled. Keep an overview of when the systems were last connected to the ASGARD Management Center. Schedule your scans with extended lifetimes to ensure that offline systems will be scanned when connected to the network. Run a scan on thousands of systems with just three mouse clicks. 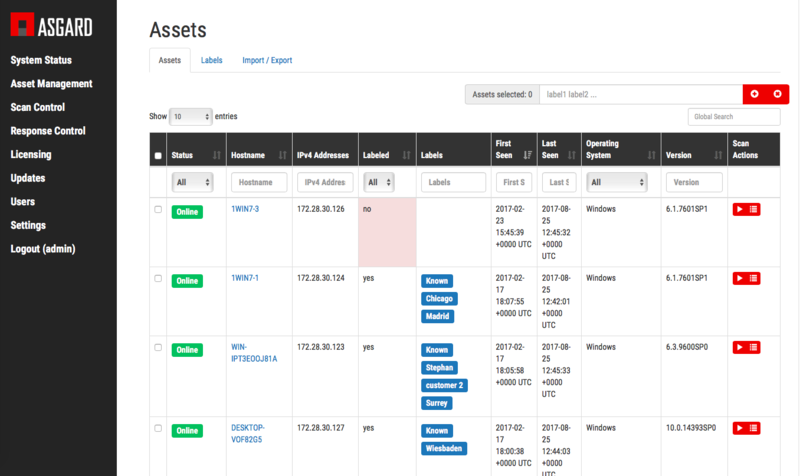 All scan actions are executed with predefined resource control that prevents overloading your network or your scanned assets. View your running scans and actions as well as past scheduled scans to determine the best action to take. Logs are collected and forwarded to the Analysis Cockpit, your SIEM System or any analysis engine of your choice. Suspicious files can be collected automatically for further analysis. If you determine, that the bad guys are already in your network, ASGARDs Response Control function will assist you in kicking them out. It lets you terminate processes, delete or modify files and registry values and much more. All large scale and from a central management console. Learn more about Central Scan Control with our ASGARD Management Center. Learn more about log analysis.